Today is our first day back in the Mackerel Media office following the Christmas break. So what better time than now to look back at some of the biggest changes Google brought us in the past 12 months – and what they could mean for 2019? Ever since its launch in October 2000, Google’s core advertising platform has always been known as Google AdWords. However, in July 2018, we were introduced to the platform’s new moniker – the much more streamlined Google Ads. While a simple change in name may not seem all that impressive in itself, Google also introduced us to a new version of DoubleClick known as Google Marketing Platform and revealed Google Ad Manager, a shiny new programmatic platform for large publishers and businesses. So why is this so important to advertisers that it is the first item in our 2018 lookback? Well, the AdWords re-branding symbolises Google’s ambitions to move away from simple text and keyword based responsive advertising and into smart, AI-driven searches which can be triggered by user behaviour, interests and even physical location. Offline, we’re seeing Google strongly push their Smart Speaker and Hey Google technology, giving us some idea of how Google expects us to perform searches in the future. To put it another way, Google AdWords doesn’t need ‘words’ to advertise anymore. The time of Google Ads is now. Along with the Google Ads name change came the introduction of an overhauled Google Ads UI – and boy, did it divide opinions in the digital marketing industry! Now, six months on, I can take a more objective view of the new interface and can report… I really like it! The new interface isn’t without its flaws – but overall the platform is vastly improved over the old, which had been mostly unchanged for 10 years. From a practical standpoint, the new interface gives equal weighting to all campaigns types which we felt was lacking in the old UI – finding Smart Shopping Campaigns and working on them is as easy now as working on your Search campaigns, which again hints at Google’s advertising ambitions in the future. 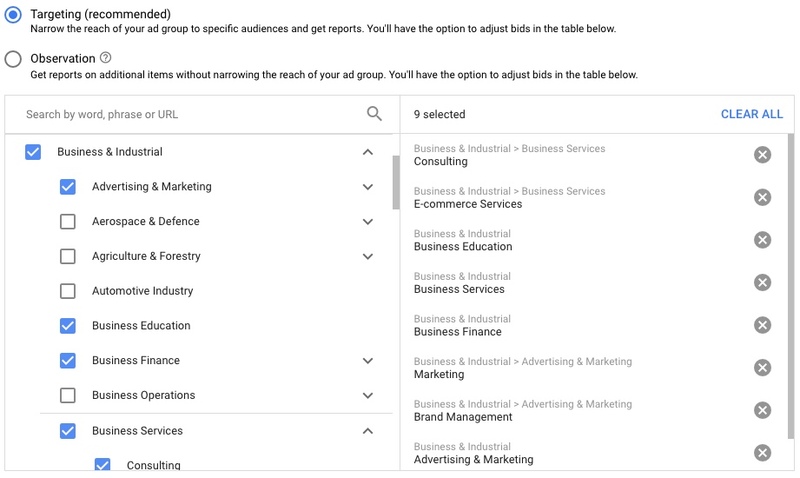 One of the most useful features of the new Ads interface is the ability to quickly find and report on information that is most relevant to your digital marketing campaigns. As well as being able to surface potential optimisation strategies, the new Google Ads interface has introduced a number of easy-to-reach reports, which for the most part have always been beneficial in our day-to-day management of accounts. These new reports include a highly detailed breakdown of Ad Position and Rank, as well as competitor activity comparisons – both of which can provide great in-sight for clients. By now, it might be obvious, but 2018 was the year that fully Google embraced Artificial Intelligence. From the introduction of Smart Shopping campaigns (which can intelligently adjust bids and product recommendation in the Google Shopping format based on user history and intent), to the introduction of responsive, dynamic ad-creative formats and automated Impression Share Targeting – Google has spent the past 12 months introducing us to new, intelligent ways of getting our ads in front of the right people at the right time. For most advertisers, Goal Based Campaigns have been one of the most interesting additions to Google Ads in the past 12 months. Simply by picking the results you want to achieve – such as increased leads, greater brand awareness or higher conversions – Google Ads can now provide you with a greater understanding of which Google Ads campaign types will perform best for you and your budget, while it’s powerful Machine Learning can provide countless automatic bid and placement optimisations. However, one of the most shocking changes of the past 12 months was Google’s announcement that it has applied its AI technology to one of the core staples of modern PPC marketing – the [Exact Match] keyword. From September, Google’s machine learning has meant that close variants of keywords which show “intent” – such as implied queries and paraphrasing – can trigger the previously fixed [Exact Match] keyword type. According to Google, testing has shown that advertisers see approximately 3% more clicks and conversions using this technology, however many have reported that this has just resulted in less relevant queries triggering keywords. From the roll-out of non-skippable TruView YouTube bumper ads to the introduction of a third text-ad Headline, we have seen some significant changes to the formats advertisers can use in 2018. And, unsurprisingly, Google’s AI algorithms played a huge roll here too during the past 12 months. The most useful of these updates has undoubtedly been the introduction of Responsive Search Ads – an updated version of Dynamic search ads – which uses machine learning to match user intent to ad-creative from a pool of up to 15 headlines and 4 descriptions, individually tailoring the message a user sees to their initial search query as well as their historical search behaviour and in-market intent to increase ad engagement and CTR%. 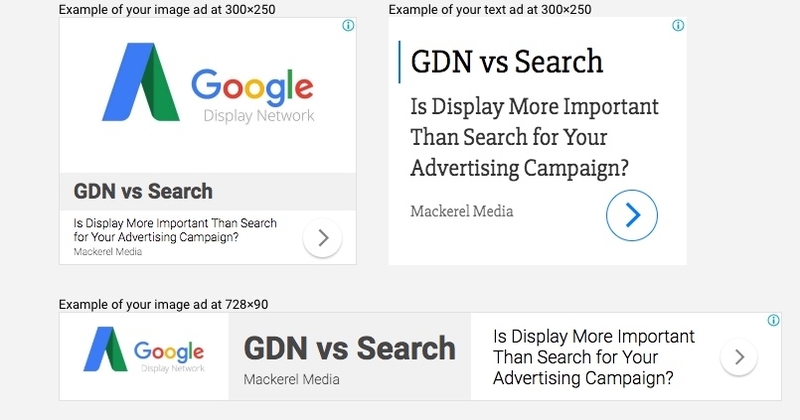 What Does 2019 Hold for Google Ads? I hope by now you’ve noticed a recurring theme in this blog post; Google is pushing AI in a bid to capitalise on non-traditional methods of online advertising. In 2019 expect to see the introduction of tools designed to target people using voice search technology, as well as an increased reliance on Machine Learning and AI to allow you to better target the audience that matters most to you. What does 2019 hold for your digital marketing? If you want to find out, drop us a quick email to hello@mackerelmedia.co.uk. https://www.mackerelmedia.co.uk/wp-content/new_uploads/MAC-home-services.jpg 1701 2560 Jonathan Mowat https://www.mackerelmedia.co.uk/wp-content/new_uploads/MAC-logo-340-1-300x86.png Jonathan Mowat2019-01-04 17:40:352019-02-05 11:47:04How Did Google Ads Change in 2018? On the 26th September 2002, Google released the first of its major search updates – Google Dance. The changes made to Google’s algorithm gave greater significance to anchor text quality allowing Google to increase the relevance of the sites it displayed when a user typed in a particular search query. Since then, Moz has documented a massive 170 Google Core Algorithm updates, with the latest ‘Medic’ confirmed as recently as August 2018. It is important to remember that the likes of ‘Panda’, ‘Penguin’ and ‘Hummingbird’ – names every digital marketer should have heard before – are just the major search engine updates that are identified and confirmed by industry watchers such as Moz or Search Engine Land. In between these SEO seismic shifts, Google is constantly tweaking and refining its algorithms to make sure users get the best possible results for their query. John Mueller, Google’s Senior Webmaster Trend Analyst, has even gone as far as to say “Google makes changes almost every day”. That’s’ a lot of updates to keep up with! With between 500 – 600 Algorithm updates happening each year, you might not be too surprised to hear that there are an estimated 200 factors that can influence how Google ranks a page. Unfortunately, Google has never outright confirmed what any these ranking factors actually are – often hints are given or senior members of Google teams say something cryptic, only for SEO agencies to spend weeks trying to decode new SEO ranking methods to give their clients an edge in the SERPs. What we do know however, is that the majority of SEO ranking factors are likely outside the influence of SEO agencies or businesses. This means that the elements we can affect – such as keywords, backlinks and technical elements – are incredibly valuable to SEO work and can have a huge effect of the ‘success’ of a web page. So, What Can We Directly Influence? On-page is the most common form of website optimisation – and the one you probably think of when talking about SEO. Is your content unique, relevant and interesting to the user? Does your content add something new to the web? Does every page have its own unique page title, meta description and content? Are your pages correctly structured, with all images given Alt Tags? Technical SEO covers how the site itself is structured & presented to promote a positive user experience. Google considers page load times, server response times, mobile device compatibility, Ref-Lang tags, canonicalisation and other criteria for an overall ‘health check’. Chances are if your keyword optimised website is still struggling to rank, it’s a technical SEO problem holding you back. 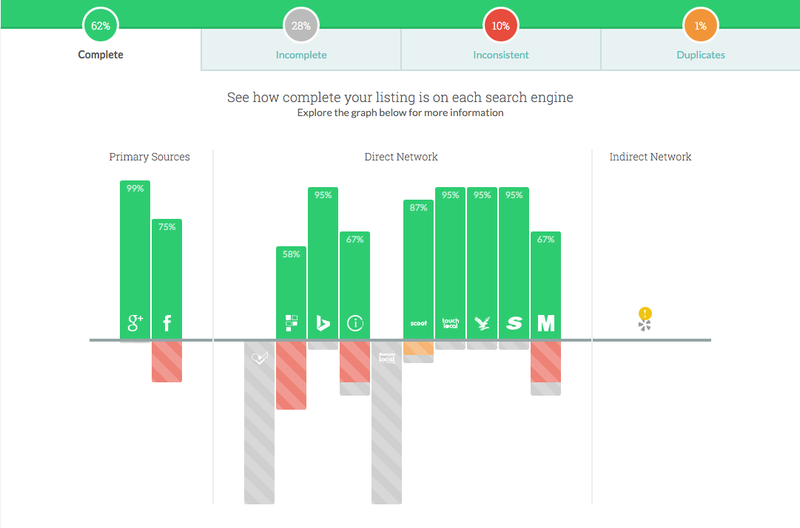 Finally, a SEO agency will consider your backlink profile. This where other websites – such as bloggers, industry recognised websites and even other businesses – provide a link from their website to your website. Google sees this as a vote of confidence (indeed backlinks are a core part of the founding PageRank principles of the search engine) and can help increase your overall authority. This is without doubt a hugely effective way of improving rankings. Last year, I wrote how SEO isn’t Dead– and concluded that on-page refinements to your SEO can still have significant impact on how your page is ranked by Google. Twelve months later, and I’m more convinced than ever that ongoing SEO work is the cornerstone of all online digital marketing activity. With so many changes being made to Google’s algorithms every single day, ask yourself this question – when was the last time your website was optimised? John Mueller (that name again) recently revealed the importance of domain-level authority metrics, sub-domains & algorithm changes that Google now considers important ranking factors. So, if you’re reading this thinking “well I optimised my site last year”, your page might already be lacking some SEO signposts that Google now considers to be important to Page Rank. Of course, I’m not about to suggest that your website needs an entire SEO audit every couple of months – in fact, the stability and age of a webpage is often cited as a contributing factor to search engine rank. However, it is important to make sure that your pages are as optimised as possible for Google’s ever-changing algorithm, and that means making SEO work part of your day-to-day digital marketing strategy. 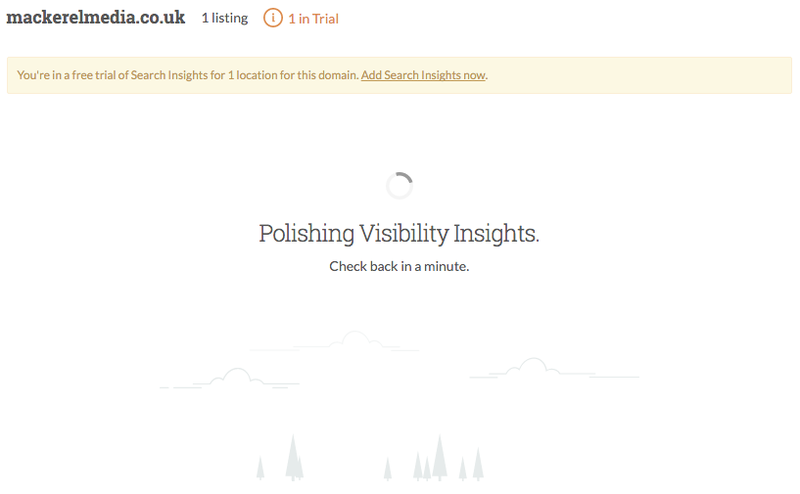 If you need to optimise your website, Mackerel can help! Get in touch today at hello@mackerelmedia.co.uk. 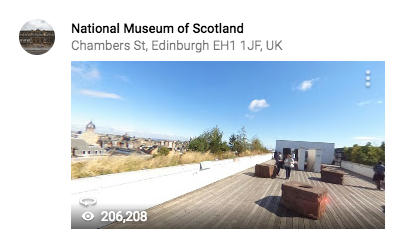 Last week, the digital marketing world descended on Mackerel Media’s hometown of Edinburgh for Turing Fest 2018, and we were there to bring you the latest developments in digital marketing! Across six digital marketing experts – one clear theme emerged time and time again: Google’s growing fondness of AI lead search results, specifically the use of voice recognition technology and the effect it will have on how we as digital marketers are able to advertise clients in the changing Search Engine results space. While the scale of voice searches is a bone of contention between digital marketers – even here in the Mackerel office there are differing opinions on how commercially useful they actually are right now– one thing is undeniable: with the growth of ‘smart’ voice assistants such as Apple’s Siri and Amazon’s Alexa, 50% of all searches made by 2020 are expected to be initiated by voice and powered by machine learning. Why is there such a push towards voice activated searches? Well, according to Cindy Krum, one of Turing Festivals Marketing Track speakers, it’s simple: Google wants to rank more than just websites and present result in a way personalized to your interests. This makes a lot of sense, and Google has already begun using AI systems to start organizing which videos you see on YouTube, which Apps get returned to you when you do a search and can even allow you to do smart searches through your photographs stored in the cloud. To allow this to happen, Google has had to change the way it thinks about the information it stores, and how it organizes that information. Whereas previously, Google grouped information together based on the words and phrases a website contained, in a world where not every bit of information a user is searching for has a website, Google has had to change tact – and it’s doing it via AI that you and I are helping to program. 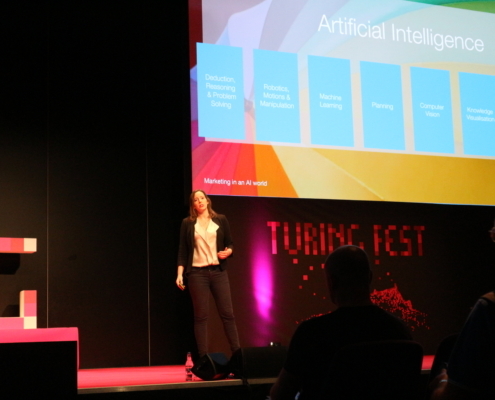 Jes Scholtz – another Turing Fest 2018 speaker – points out that we’re constantly helping to tweak machine learning systems into better understanding what it is we’re looking for, and we may not even realise it. Those thumbs up and thumbs down icons in Netflix? Each time you give a rating you’re helping Nextflix refine its algorithm designed to show you the content most relevant. Same goes with Gmail’s “Mark as Spam” button. None of this is new, but the way in which the data is interpreted is – the massive scale of data gathered plus the application of AI to incorporate many other signals such as the time of day you hit thumbs up, or where you are when you hit ‘Mark as Spam’ leads to a massive improvement in the quality of the algorithms. 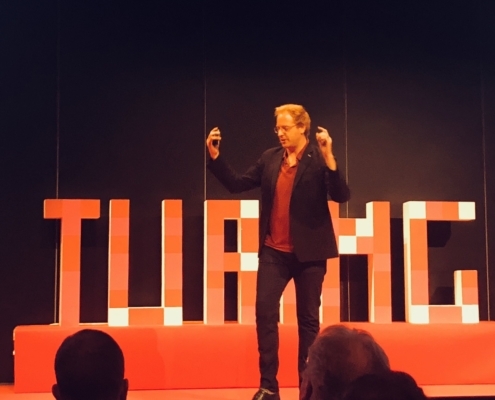 Jes Scholz discussed the importance of Marketing in an AI World. The End of the Website as We Know It? What voice activated search results need to do is determine the most relevant piece of information for that search and return it right there and then, and they’re doing it through machine learning and combining that with their vast understanding of a users personal history, interests, behaviors & search intent. We’re already seeing this type of ‘definitive information’ result being surfaced in the form of knowledge panels, direct answers in the SERPs and informational sidebar results. According to Cindy Krum, this type of search result has grown more prominent with mobile and voice results containing a knowledge graph answer climbing from 35% in 2016 to 60% in 2018. Clearly, Google is putting a lot of emphasis on this type of result. Google’s end game, according to Cindy Krum, is allowing Google to become “the presentation layer of the internet”– soon, we might not need to see a product website to be able to buy, we’ll just do it directly through the Google results. Good news for voice assisted searches, bad news for websites. Hey Siri, What Do I Do Next? The biggest question you might now have is how do we prepare for a world in which Google might not even consider our website before providing just one answer to a voice search? One of the most interesting speakers at Turing Fest 2018 was Yoast’s very own ‘Mad Scientist’ Jono Alderson – who joined us on stage to explain how brands need to learn some important lessons from the pre-digital marketing era in order to succeed in the future. Yoast’s very own Jono Alderson describes the power of ‘brand currency’. Big brands have always relied on ‘story telling’ and relationship building with customers to position themselves at the forefront of their mind when decision making, and that is how brands of the future are going to stand out from the voice-search crowd. Brands need to start thinking about how future customers may want to interact with their brand months or even years before the searcher even knows they want to buy a product. If Google knows a user has a documented history of interacting with a brands content, social media, pictures or other media, the more likely they are to consider that brand for a user’s personalised search result. The more a user knows and cares for a brand they’re presented with by Siri as a single voice-search result, the more likely they are to explore that search result further. Jono Alderson calls this ‘brand currency’, and it’s invaluable in a world where AI powered voice search is dominant. If a searcher has no affinity with a brand, they’ll just search again and you may have missed the only opportunity you’ll have for that user to interact with your brand. What’s worse, is that Google could use its machine learning and AI to update its algorithm and push you out of that individual users ‘pool’ of potential search results in the future, having marked you as not of interest to the user. How Do I Even Appear for Voice Searches? It’s clear that Google see’s the future of search as hyper-personalised, AI driven results where even a single interaction with a brand can influence how a user is presented information, but we still need to make sure that we’re even eligible to be considered by a voice-search engine in the first place. Thankfully, Google has already given us a suite of tools and platforms designed to specifically do that: Google My Business, Knowledge Graph results, Google Maps and a whole host of technical tools such as Schema Mark-Up and the Google Natural language API tool. In a world where ‘on-the-go’ searches are becoming increasingly familiar – and where Google is able to collect vast quantities of data on the brands you interact with and what your feelings towards them are – what becomes the defining factor of whether a search result is presented or not is relevancy. Google now considers these ‘supporting’ pieces of information to be just as important – if not more so – than the content of a website or the products a brand sells. 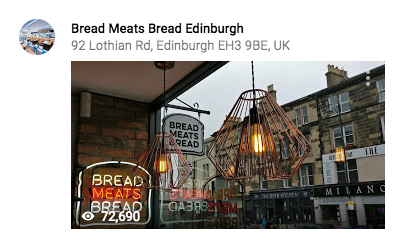 If I do a voice search for “French restaurants near me”, guess what? The one which has its opening times and address listed on GMB is the one that a voice-assistant is going to return as my answer, because that’s the one I’m going to be more likely to go to. The same goes for e-commerce businesses which provide clear product prices or service providers who produce great knowledgeable content about their specific offerings. Again, Google is cutting out the middleman and giving us just the answers it thinks we want to see. Do We Really Think This is the Future of Search Marketing? To put it bluntly, if this is what Google is saying the digital marketing landscape is going to look like in the future, then it’s worth making sure we are prepared for a world where voice-searches overtake traditional text-based queries. For the most part though, brands which take their digital marketing activities seriously needn’t worry too much. All of the tools Google has indicated may tip the balance of one search result appearing over another – such as Google My Business or Mark-up Schema – have already become part of most really good digital marketing strategies, and are easy to set up should you have forgotten. https://www.mackerelmedia.co.uk/wp-content/new_uploads/Image-uploaded-from-iOS.jpg 3024 4032 Jonathan Mowat https://www.mackerelmedia.co.uk/wp-content/new_uploads/MAC-logo-340-1-300x86.png Jonathan Mowat2018-08-06 16:30:332018-08-31 16:56:39AI & Voice Searches: The Future of Digital Marketing? In the grand tradition of all digital marketing blogs, let me start by giving you an offline scenario that we can all relate to “IRL”: you pass a billboard in the street which is advertising the perfect gift for your partner. The billboard tells you everything you need to know about the product and you decide to buy it right there and then. You arrive at the only shop in town selling the item to find it half-boarded up, with broken windows and a missing sign. Worse still, there is a suspicious character hanging around outside eyeing you up and down. Even if the perfect gift is inside that shop, what do you do? You turn around and look for something else. Your paid search marketing campaign could well be that billboard we saw – informative, memorable, relatable and with a great call to action. But the formatting of your landing page is slightly off on mobile devices, there are spelling mistakes in the headings and you have a non-secure submissions form triggering alerts in the user’s browser. You might as well be stood outside that store in a rough part of town. Landing Pages are crucial to any digital marketing campaign. They are the first real opportunity you have to introduce your business, or the products you sell. A great landing page can cause a user to convert on their first visit, whilst a poor one can leave a lasting negative impression that’s hard to come back from – 79% of dissatisfied customers won’t visit your site again. Pushy sales language, irrelevant content and pressuring your visitors into submitting personal information such as email addresses can be enough to drive your traffic away for good. Poor landing pages can also have a direct effect on the success of your paid search campaigns. Each PPC keyword you bid on in Adwords is assigned a Quality Score out of 10. While there are many, many factors that are taken into account by the Google Algorithm, effectively quality score is a rating of your keywords relevancy to a user’s search term and the landing page you direct them towards. If a user searches for shoes, but your advert takes them to a landing page about coats, they’re unlikely to convert. Not only are you going to see a lower ROI in this scenario, but Google will eventually realise that your landing page has little relevancy to the keywords you bid on and punish you by lowering your Quality Score: there’s lots of evidence to suggest that lower quality score means a higher £/click and a lower Ad Position in the search engine results pages. Simply put, when a user arrives on a landing page after clicking your link, it should be immediately clear they have arrived in the right place. All the information that they need to make their decision should be freely available to them in a friendly, clear and concise way with a powerful CTA. A great landing page will be technically sound too – fully mobile responsive, formatted correctly and with a clear focus on security. In the age of the internet, people want instant gratification – and if your landing page doesn’t immediately offer a user the information they are looking for, then you have already lost their interest. Remember – without the perfect landing page your customers aren’t going to care about what you have for sale, they’re just not going to get past the state of your shop front. As the old saying goes: first impressions really do matter on the internet. 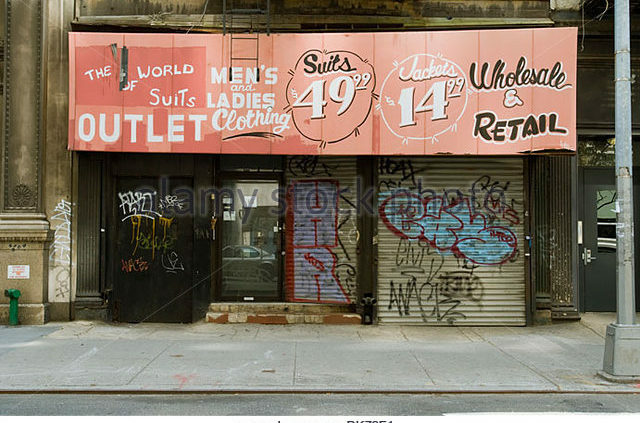 https://www.mackerelmedia.co.uk/wp-content/new_uploads/dilapidated-closed-clothing-store-in-lower-manhattan-in-new-york-on-bk73f1.jpg 449 640 Jonathan Mowat https://www.mackerelmedia.co.uk/wp-content/new_uploads/MAC-logo-340-1-300x86.png Jonathan Mowat2017-07-12 17:34:462017-07-12 23:00:24Why is a Great Landing Page Important for Your PPC Campaign? Here’s a question: What value do you put on your business being seen by prospective customers? Most of you will agree that the first thing you do these days when looking for a product, restaurant, or business is turn to Google. Working in digital marketing and specialising in local search has shown me two things: how effective it is to be fully present to your target market, and how few businesses utilise this free tool to make sure every possible user can find them. Having a Google My Business listing allows you to present key information to customers, convincing them to continue to the website or contact you for more information. The best way to engage a user is through images. We’re told not to, but everyone judges the book by its cover, and business listings are no different. So why not make your business ‘cover’ the best it can be? Google has realised that a lot of business owners either don’t have the time, or just don’t know, to fill out their business listings. This is probably why they created the Local Guides community, allowing locals to not only leave reviews but to contribute edits or add to missing information on local business listings. Out of intrigue I joined the Google Local Guides back in May 2016 and started adding pictures and reviews to the places that I had been. As a digital marketer I found it fascinating that Google was now ‘Crowd Sourcing’ local business information. Obviously, for me there was a professional benefit here, to find out the information that Google was wanting to gather before making it available as an attribute on listings. 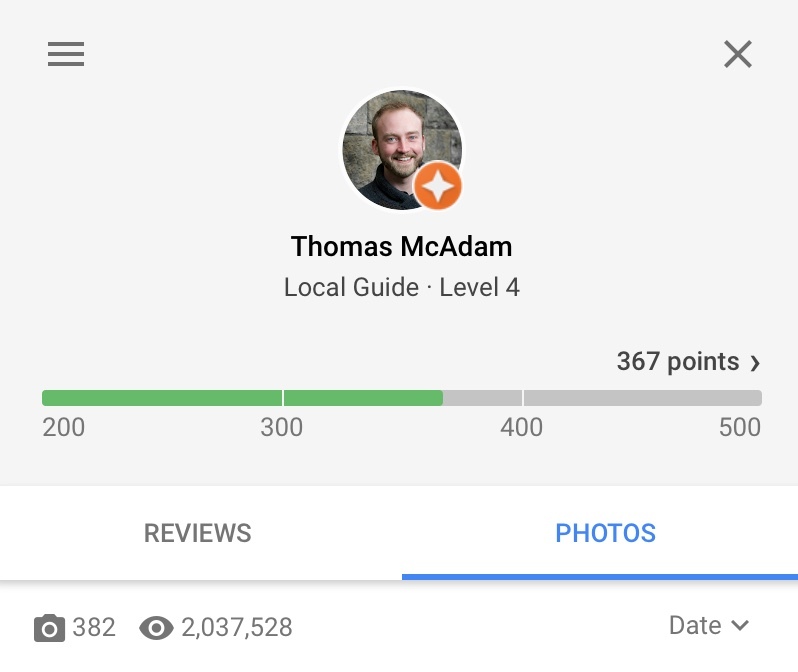 Having now contributed reviews, photos and verified other Local Guides’ information, I’ve worked my way up the Levels Google put in place unlocking different features along the way. One of my favourite features are the questions that Google asks about the places you’ve been, such as accessibility or what the place is known for. So much information has already been gathered that recently, Google has used the questions that it’s gathered from the local guides to add it’s Attributes feature to Google My Business. This brings my back to my original question of the value of a prospective customer and how they see us. While writing this article I surpassed 2 million photo views, and though the views aren’t for one particular business, there are some heavy-hitters who have seen traffic as the main image shown for their listing. From restaurants to distilleries and museums, customers want to be able to see what’s there before arriving, so why not make sure you populate your listings with professional imagery that generates interest in visiting? To truly give customers an immersive experience before arrival Google’s integration of its Street View app has even made it possible for Local Guides to contribute 360° photos to a listing. Doing so and contributing over 50 approved images then leads to becoming a Google Street View Trusted Photographer (which I happen to be), allowing photographers to transfer the rights/ownership to Businesses. So whether it’s a photo of items on your menu or a 360° of your roof-top terrace, make sure that your business listings show your potential customers everything your business has to offer, and you’ll be rewarded with more visits and more customers. Moz have recently come out with Moz Local, a new tool that checks all of your Local Listings and makes sure that they are up to date and accurate. You enter your business’s URL and Postcode and you’re given a pretty graph that telling you what’s complete, incomplete, inconsistent or any duplicates you may have. Sounds simple, right? Getting the graph and information was free (which is the best price ever for a tool and pretty useful to get a general idea of where your weaknesses may be), but what Moz then offers is to get these all sorted for you, in one fell swoop. I thought I’d give it a go. My initial use of Moz local has been good so far. Previously I would have had to think about all the places that our company could be listed and then see about creating an account on each one of them and then updating them one by one. It took me around 5 – 10 minutes or so, from clicking on “Start Using Moz local” to entering business information (and asking Nick for the company credit card) to being on the dashboard with a quick click through tour of what’s available. Adding Mackerel’s information was quite easy and straightforward. Overall there are four sections to fill out : Basic Information, Additional Information, Additional Contact Information and Advanced. To which I thought, “Great, where do I find these categories?“ but there was no link on the page. Having a look later, I found my answer in the Moz Q&A Forum. It’s here by the way: https://moz.com/local/categories . Additional Information seems to be related to Foursquare which doesn’t really apply to us but I do have a few clients in mind. Here you’ve got a 150-character Description, Opening Times, Photos (which you add using URLs), and Payment Types. Additional Contact Information is just in case you want to add extra numbers, secondary lines, mobile and Fax (apparently still a thing). Finally there’s your Advanced section which asks for a URL to your logo, a display URL, Social Media URLs, any External Media URLs, Promotions (links to menus, product, discounts), Brands you stock, Certifications, Neighbourhood your listing is found, Containing Location (If you’re in a mall/shopping center) and a Store code (a unique ID for each of your listings to distinguish them from each other. When you first arrive at the Dashboard, you’re welcomed by a quick click-through tour telling you what each section does. Your main sections here are: your Listings, Distribution, Performance, Visibility, and Reputation. Each of your listings is set out nicely with your distribution score, and the progress of each of the local listings that Moz Local has sent your info to. I immediately saw a jump as some as the listings updated straight away, but Moz does then tell you that some could take a couple of weeks and you’ll get an e-mail when it’s all up-to-date. Listings and Distribution cover your general information that you’re looking at getting updated. 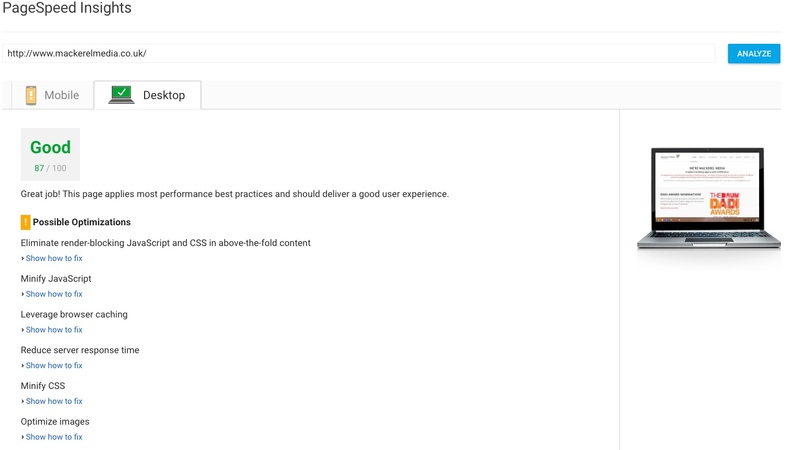 Performance, Visibility and Reputation however, are extras that you can purchase that allow you to get your Google Analytics and other Insight information in the same place. When you click on these, get to use these on a trial basis to check them out, though it seems to take a little while for them to get up and running. The largest annoyance that i’ve had so far is that Moz Local is reporting I have possible duplicate listings, and saying that I should “Simply ‘close’” to delete them. There’s just one thing; there’s nothing to close. For now I find that this is a great wee tool for getting all the info in one place, and saving a bit of time getting your company’s information distributed to the local listings. It seems like Moz still have a few bugs to sort out, but give it time and it will definitely be a resource to add to the proverbial Toolbox.